No one ever wants to have teeth pulled. 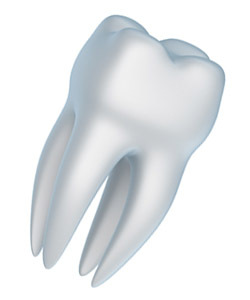 Unfortunately, there are some cases in which a tooth cannot be saved and you must have a tooth extraction. If you must have a tooth removal, it is important to have your teeth pulled using only the latest in technology and in a safe, comfortable environment. Here at Foote Family Dental in Gonzales, LA, our helpful staff can assist you in getting the care you need, safely and effectively. General Health | A bad tooth can have a negative impact on your overall health. Many studies have linked the health of your teeth to your health in general. Disease Prevention | If your tooth has become increasingly decayed it is best to have it extracted to help prevent disease. If a decayed tooth is not removed, it can cause disease to spread to your jaw and other teeth in your mouth. Restoration Options | Having a tooth extraction does not mean you have to live with a hole in your smile. There are options for restoring that gap! At Foote Family Dental, we will help you explore these options, whether you are interested in bridges or implants. Stop Toothaches | Teeth that are infected or decayed can be a serious source of discomfort and can cause severe chronic toothaches. Having the teeth pulled can alleviate this discomfort and get you back on the path to excellent oral health. Removal of harmful bacteria | If the decay in a tooth reaches a certain point, it can turn into a breeding ground for bacteria that are harmful to your health. If we determine that you need to have a tooth removal, we can often have it arranged to be done in a normal office visit. We recommend dental sedation to ensure your ease and comfort during the procedure. Have any other questions about tooth removal? Contact us today! Dr. Richardson-Foote and her team are here for residents in the area, from Baton Rouge and Prairieville, to Gonzales, LA!